Two members of the $370M Maryland credit collect signatures to add their names to annual meeting board ballots. Members David Zuckerman (right) and Chris Bohner (left) are shown outside Lafayette Federal Credit Union Tuesday morning as they delivered their candidate petitions. 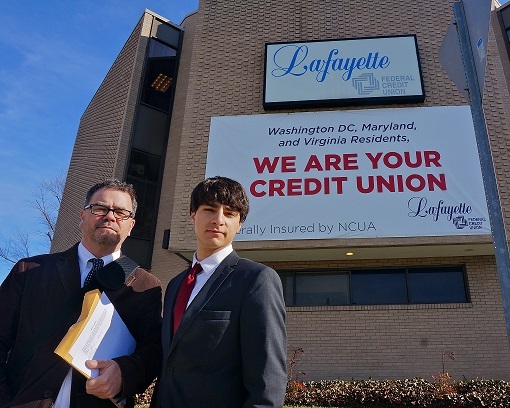 Two members of the $370 million Lafayette Federal Credit Union filed board candidacy petitions seeking, among other things, to stop the credit union from conducting board elections at a country club.